A leading drainage and access cover manufacturer has strengthened its internal sales team with the appointment of a new advisor. 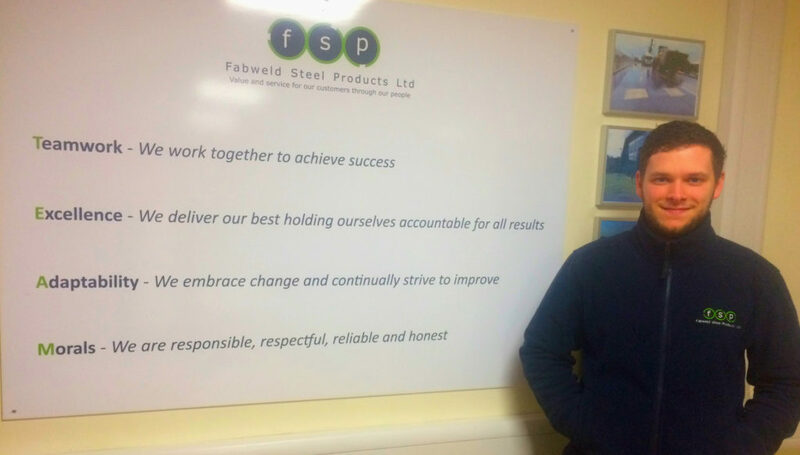 Callum Hodson has joined Fabweld Steel Products (FSP) as an Internal Sales Advisor, who will be the first point of contact for enquiries from FSP’s widespread customer base. The former Madeley Academy student previously worked for an industrial electrical supplier as a sales administrator where he completed a Level 3 Business Administration apprenticeship with Matrix management training. FSP Managing Director Richard Hilton said: “Callum’s appointment was a strategic move to further strengthen our internal sales team so we can continue to offer the responsive and high quality service we have built our reputation on.